If you haven’t visited Exmoor National Park before, you’re missing a treat. With a lush green landscape of moorlands, woodlands, farmlands and valleys, Exmoor in Devon is a joy to behold and a beautiful destination for a rural retreat break. Inland, there are many pretty villages and towns to choose from including Dunster, Dulverton, Exford, Simonsbath and Wheddon Cross to name just a few. If you prefer to stay closer to the seaside, there are also a number of picturesque villages and towns to choose from including; Combe Martin, Lynton and Lynmouth, Parracombe, Porlock and Watermouth. 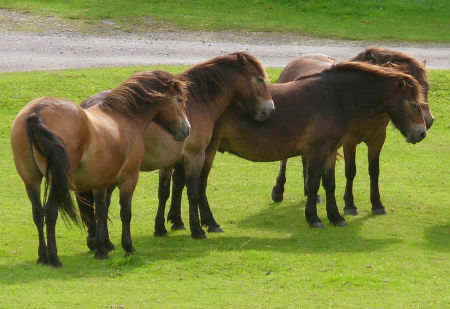 Whether you enjoy walking, cycling, horse riding or wildlife watching, Exmoor won’t disappoint. There are plenty of opportunities to explore this unspoilt naturally beautiful landscape when holidaying in Exmoor. The National Park also has other less known attractions such as being a popular spot for star-gazing by virtue of its dark skies. Aside from the stunning natural scenery and assortment of outdoor activities that can be enjoyed in this part of the West Country, there are a variety of local attractions in Exmoor including the Exmoor Owl and Hawk Centre where visitors can see some amazing birds of prey, Exmoor Llamas where you can meet friendly llamas, Exmoor Pony Centre where you can meet and book to ride a pony and Quince Honey Farm where you can discover the biggest Honeybee exhibition in the world. 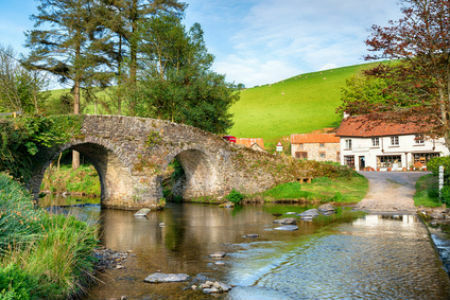 With vast areas of unspoilt countryside, farmlands and greenery, Exmoor could be the ideal place to hideaway in a cottage retreat for a while. Perhaps you’re dreaming of staying in a barn conversion or a farm cottage where you can wake up to fabulous country views or a holiday lodge where you can gaze upon fields and meadows whilst eating breakfast or enjoying a glass of wine in the evening. Whatever makes for your perfect holiday, we hope you find an idyllic country escape in Exmoor on Country Cottages Online. Find Self-Catering Accommodation for Holidays in Exmoor and nearby. This entry was posted in Holiday Ideas, National Parks on July 3, 2018 by +YvonneChristina.